On Monday, February 16th, I lost a special girl. 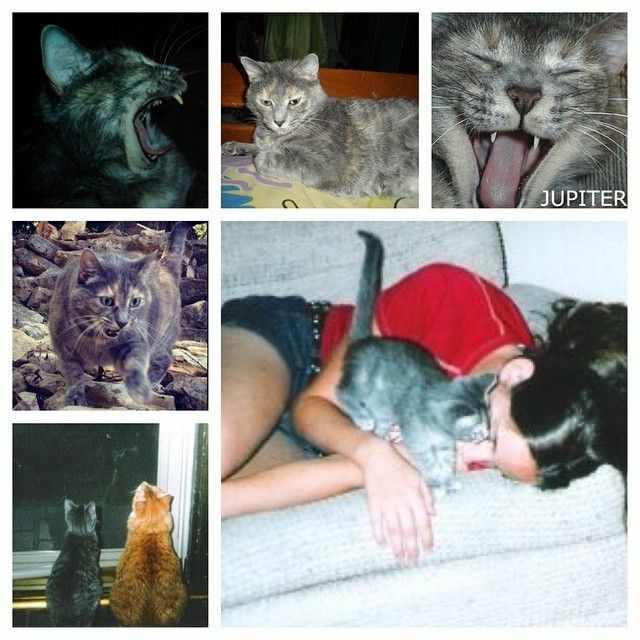 My cat, Jupiter, who I got the summer I turned 15 (I'm 27 now), lost her two year battle to cancer. She lived with my family in Kansas City, but she was the first pet we ever had that was truly "mine" and not the family pet. It's tough losing a pet. They're members of our families too, after all. I knew it was coming, so I'm glad I got to say my goodbyes when I saw her over Christmas, but that doesn't make things any easier. For now, I'm cuddling my two kitties on overdrive and trying to remember all of the good memories I had with Jupiter throughout high school and college. I will miss my little (big) Jupie Green Eyes, but I'm glad she is not suffering anymore. And yes, she was named after the Train song Drops of Jupiter. I am so very sorry, losing a pet is one of worst feelings. Sending lots of love your way! So sorry for your loss. Losing a kitty is so hard. I'm so sorry for your loss! I'll be thinking about you! Oh no, I am so sorry!